The 248 paragraphs of the manuscript ›Zur Physik II‹ (On Physics II), written between 1841 and 1847, constitute an autonomous treatise on natural philosophy. Bolzano’s opinion is based on the assumption that the entire universe had a nuclear particle structure. Certain atoms are distinguished by the fact that they are isolated in a continuum of ether atoms. Each of these atoms is surrounded by ether which provides a causal relationship to other atoms also of the same type. 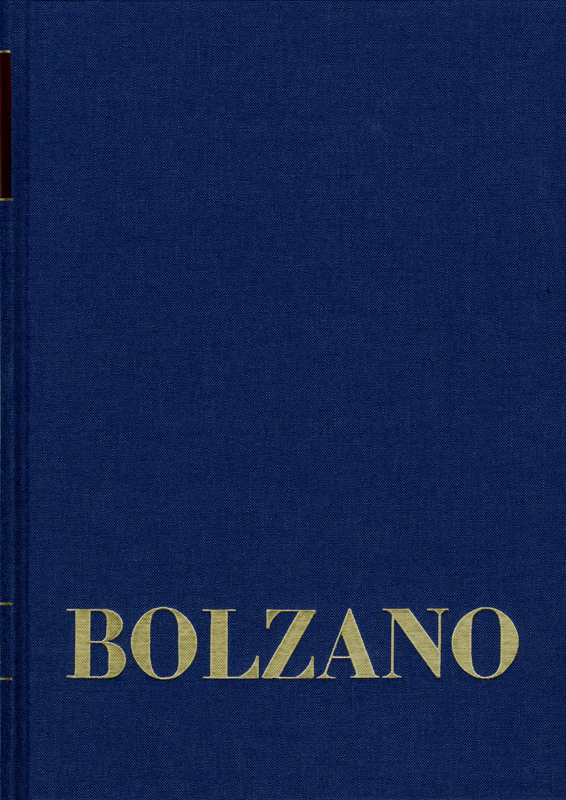 Thus for Bolzano there is no actio in distans in the sense of classical physics. In accordance with a conformal physical field theory, Bolzano provides an alternative description of long-range forces.